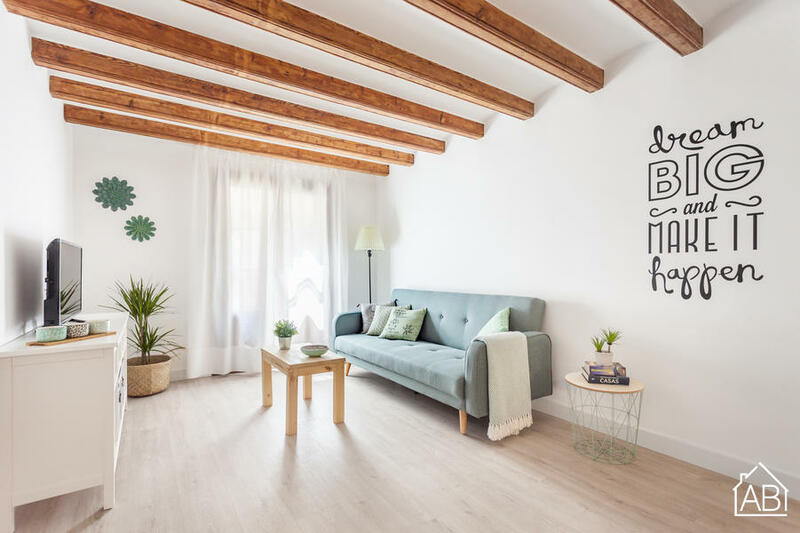 Situated in the vibrant Raval neighbourhood just 550m from the famous Mercat de Sant Antoni, this modern, stylish apartment offers air conditioning and free Wi-Fi. Two metro stops, Universitat and Sant Antoni, are both a 5-minute walk away. This trendy apartment sleeps up to 4 guests across 2 bedrooms, one with a double bed and the other with 2 single beds. The double bedroom boasts an en-suite bathroom. The apartment is just a 2-minute walk from the Museu d’Art Contemporani de Barcelona, also known as MACBA, and a 12-minute walk from the famous Las Ramblas. Plaça de Catalunya, the most central point of Barcelona, is also less than a 10-minute walk from the apartment. Within a short walk, you will find plenty of museums, restaurants, bars, cafés and shops. This neighbourhood is a great choice for those interested in the local culture and being in the heart of the city.